North Interior Karnataka and South Interior Karnataka has been receiving rain and thundershower from last many days,these activities were in the wake of north-south trough which is extending from eastern parts of the country to South Interior Karnataka. Moreover, the wind discontinuity is also seen from Rayalaseema to Comorin area across interior parts of Tamil Nadu. 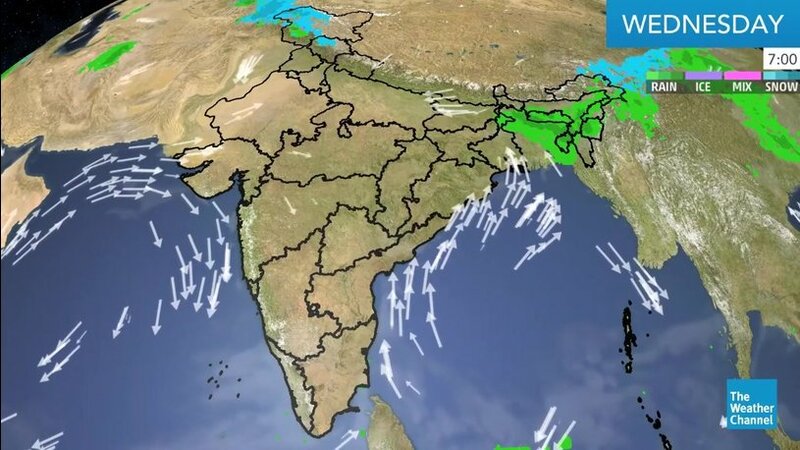 The combined effect of these weather systems is responsible for giving rains over Bengaluru and Mysore. Along with this, moisture incursion is taking place from Bay of Bengal as well as Arabian Sea over many parts of Karnataka. Thus, intermittent rain and thundershower activities would continue over interior parts of Karnataka during the next two days. These activities being the pre-Monsoon one’s, therefore they will be active either during later part of the day or by evening along with strong surface winds.